PESHAWAR: A joint committee has been constituted to finalise steps for initiating development and welfare projects for merged tribal districts with the Khyber Pakhtunkhwa (KP) province, it was reported on Thursday. The committee will comprise members belonging to federal and provincial governments which would be tasked to forward recommendations for the development of merged tribal districts. Federal secretaries of planning and finance ministries, KP finance secretary were included in the committee. The committee was constituted in light of decisions of a high-level meeting held in Islamabad. According to sources, the committee will devise a comprehensive strategy for planning and funding of different development and welfare projects within two weeks. 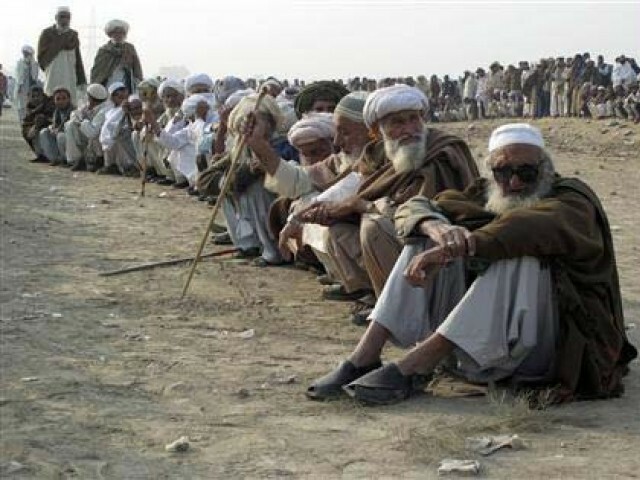 On March 18, Prime Minister Imran Khan had announced his government’s plan to spend more than Rs100 billion annually for the uplift of tribal districts – formerly known as Federally Administered Tribal Areas (Fata). “Our ppl[people] in the tribal area will see unprecedented development as Govt plans to spend over Rs100 billion annually for 10 yrs in tribal districts,” the prime minister said in a tweet this morning. Lately, the prime minister paid a visit to Mohmand district where he announced to launch Sehat Insaf Card scheme in the tribal region. Addressing tribal elders at Ghalanai, the Headquarters of Mohmand district, he had said people of tribal districts will benefit from the Sehat Insaf Card like rest of the countrymen. He said the holder of the card will be entitled to get treatment at any hospital up to Rs7,20,000 annually. The prime minister said tribal districts will be developed and education and job opportunities will be created for tribal youth. He said Mohmand Dam will be constructed which will not only generate electricity but also irrigate a vast barren land. He said tourism will also be promoted in tribal districts as Khyber Pakhtunkhwa has great potential for tourism and this has helped in reduction of poverty during the last five years.